I know that if you're reading this, it's because you need to know what happened, and maybe you're in a hurry and you want me to get to the point. But if you're reading this, you need to believe what happened to me. 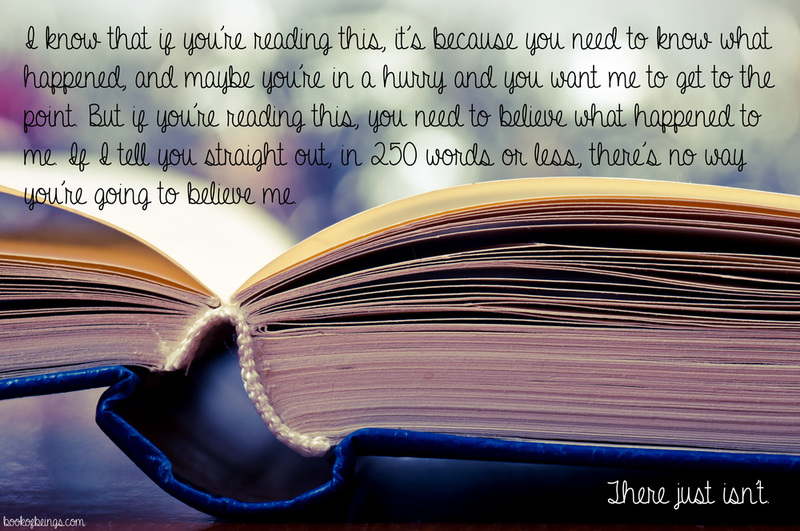 If I tell you straight out, in 250 words or less, there's no way you're going to believe me.